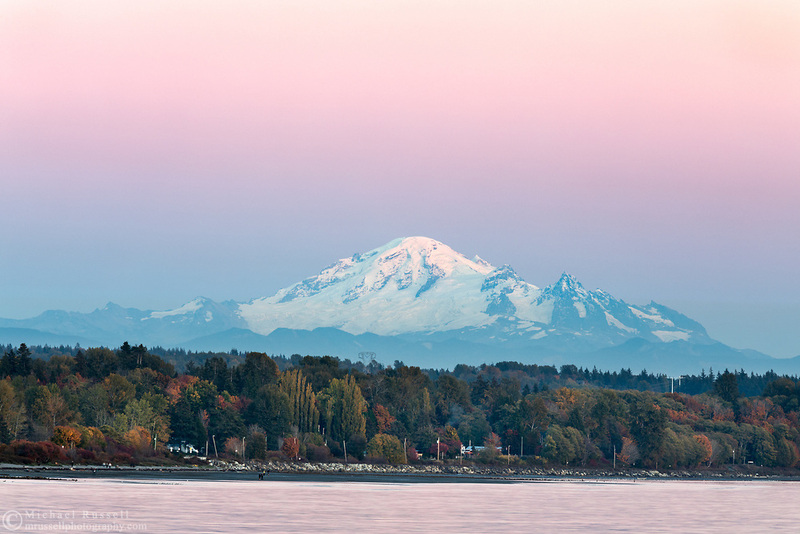 Mount Baker after sunset. Photographed from the White Rock Pier in White Rock, British Columbia, Canada. Mount Baker is in Washington State.